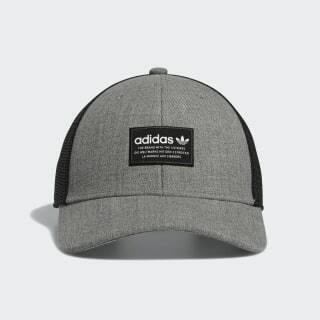 A mesh-back cap with adidas style. 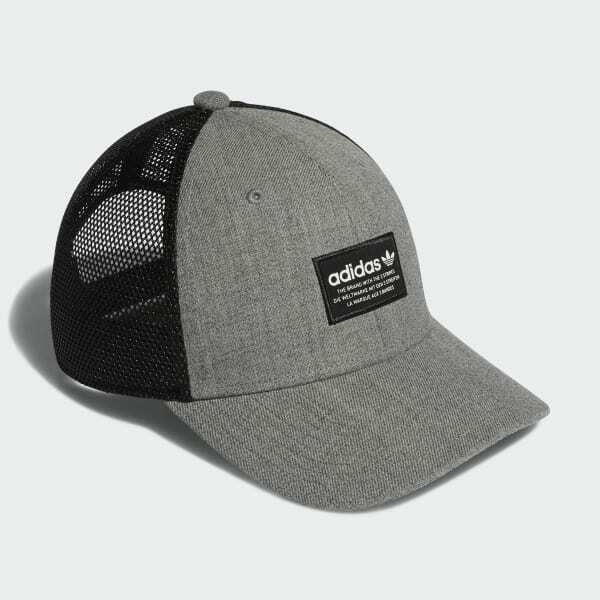 This trucker hat has a classic six-panel shape with a mesh back. An adidas logo badge stands out on the front. A plastic snap adjuster lets you fine-tune the fit.